Fortnite: Battle Royale has taken the world by storm in 2018. The free-to-play, last-man-standing, third-person shooter has invaded consoles, PC's, and now mobile phones everywhere with its colorful antics and addicting gameplay. But just how many people are playing Fortnite these days? Well, the answer isn't as cut-and-dry as we'd like. 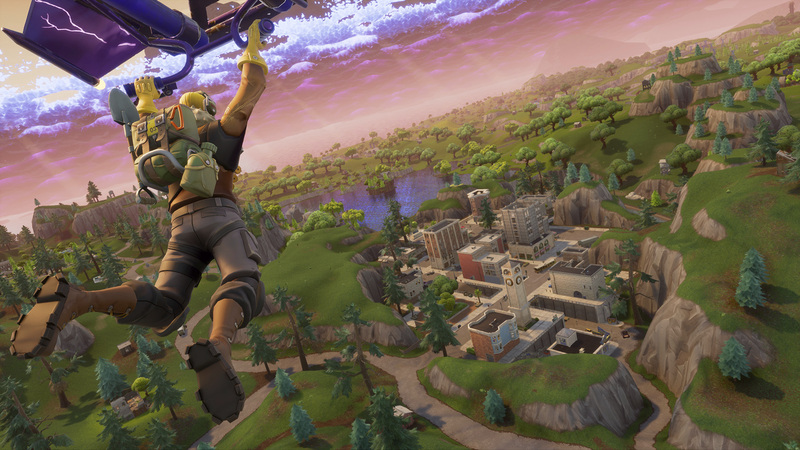 In Jan. 2018, after Battle Royale's first 100 days, Epic Games revealed that there were 45 million players of Fortnite. That number includes all players on PC, PlayStation 4, and Xbox One. The latest update from Epic Games came during E3 2018, when it announced the Fortnite World Cup. In the announcement, Epic said that Fortnite had reached 125 million players. To put it simply, the number of Fortnite players can't be tracked like it can with games like PlayerUnknown's Battlegrounds on Steam. Steam lists player counts and there are multiple websites that do the same. Since Fortnite is run directly through Epic Games' launcher, the number can't be officially quantified by anyone but Epic Games itself. The last time Epic gave out a number was in Feb. 2018 when the game reached 3.4 million concurrent players and caused issues with the servers. Fortnite's popularity has exploded even more since then, thanks to mainstream media coverage, word of mouth, and wild events like world famous rapper Drake teaming up on livestream with Twitch broadcaster Ninja. Another event that has taken place since the last official numbers being released was the release of Fortnite on the mobile platform on iOS. The game has become hugely popular on phones and tablets, recently passing $50 million in revenue around the start of season four.